Early in my career the fire scene felt like a chaotic place. Every fire looked different and offered unique challenges. As I developed more skills and learned more about incident management and fire attack concepts I realized that the vast majority of the fires we respond to are much more similar than they are different. 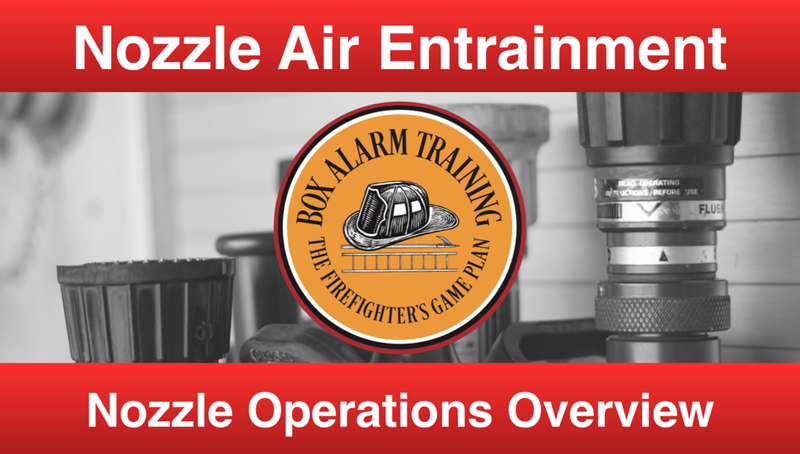 In order to more effectively evaluate the engine company and the types of attacks we perform let us take a look at 5 fundamental plays for the Engine Company. The Pre-Connected Attack is the most used line on our Engines. This line is a predetermined length and size hose-line that is connected to a discharge. Most of the time these lines are setup for your department's most common occupancy types. The most common pre-connected attack line I see is the 200' 1.75" hand-line. The pre-connected attack line offers many advantages including a predetermined flow requirement and length. The pre-connected line provides firefighters with a quick solution for the majority of fires they will fight. However, the pre-connected line can also develop bad habits. Many firefighters pull the pre-connect on every fire regardless if the fire is large or more complex. The extended attack is something every engine should have the ability to perform. 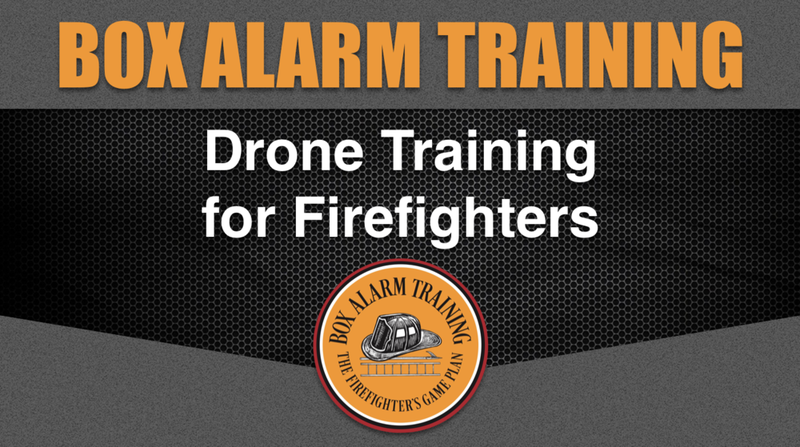 In the simplest form, the extended attack is simply for attacking fires that are out of reach of your pre-connected lines. The extended attack is very good for long set-backs, apartment complexes, narrow alleys, and providing you with a flexible solution for a multitude of fires. The big line is for fires with heavier fire loads. This style of attack comes typically in the form of a 2.5" hand-line. This attack method increases the flow rate for fires with more energy. A blitz attack can be defined in two different ways. In some parts of the country a blitz attack would be a 2.5" hand-line but in others it may be a rapid attack style monitor. Regardless of the tool used, this method is designed to "Blitz" a fire with a lot of water during the initial stages of fire attack. Many crews will perform a blitz attack with larger lines and then transition to smaller attack lines like the 1.75". Often viewed as a defensive operation, the master stream attack is for throwing a lot of water at a fire very quickly. This method of fire attack works really well for building that have a detached section with heavy fire. For example, a detached garage may produce a tremendous amount of heat energy that a smaller attack line simply cannot handle. A master stream can flow around 500 gallons of water at a fire in only 30 seconds. This can knock down a lot of heat energy for you to transition to your smaller attack lines. Detroit performs this attack method very often and they refer to it as "dumping the monitor". 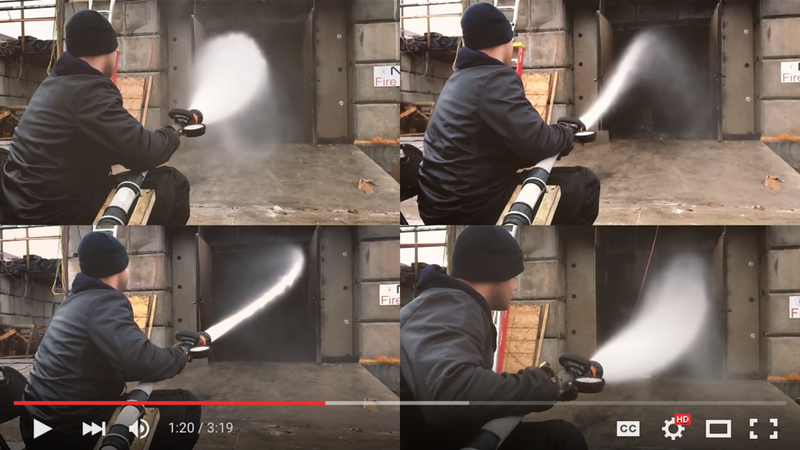 Take a look at the video and evaluate your ability as an engine company to perform these styles of fire attack. This is a great time to sit with your crew and discuss your ability to perform these plays. How to go to FDIC on the Cheap? The easiest way to go to FDIC and not break the bank is to only attend the exhibits. The exhibits at FDIC are pretty incredible. It can take days just to see everything on the floor. A lot of firefighters do not see any educational value in going to see the exhibits but the reality is there are many subject matter experts at nearly every booth waiting to answer any questions you have. I highly recommend getting a group together and staying in a hotel outside the downtown area. You just commute into the downtown area each day and enjoy the show. If you see us on the floor stop and say hello. Over the years we have seen several different methods of labeling sides of a structure. They range from numerical to alphabetical and even by compass heading. However, it does not matter which way you choose to label sides of a building if the companies arriving label the sides differently. If the first arriving company does not establish their location and side, the incoming companies can easily become confused and disoriented. The best practice right now is to label the sides of a structure alphabetically in a clockwise fashion. Some firefighters will tell you the Alpha side would be the address or street side and you would label the remaining sides after that determination. This can become a major problem if you arrive on scene with a building that is oddly shaped or lands in the middle of a parking lot where there is no clear "address side". In the video below we will clarify how to properly label and identify sides of a structure. We will also show a couple of examples where labeling the side by the initial arriving company is of the utmost importance. The Time-Temperature Curve is something that we have seen in textbooks for many years. Many people do not know that the original time-temperature curve dates back to around 1908. The graph depicts the stages of fire growth in time showing how temperature increases and decreases throughout the stages of development. Due to research on modern fire behavior we now use a different style time-temperature curve. The new time-temp curve shows something called ventilation limited conditions which depicts how temperature will drop due to the limited oxygen rather than the limited fuel. This is a common occurrence in modern fires due to newer construction techniques and newer products which provide much more fuel for combustion. Take a look at the video below which will explain the differences in the two time-temp curves. We will also explain the differences between fuel limited and vent limited fires. Personally I believe all instructors should explain the "why's" first. 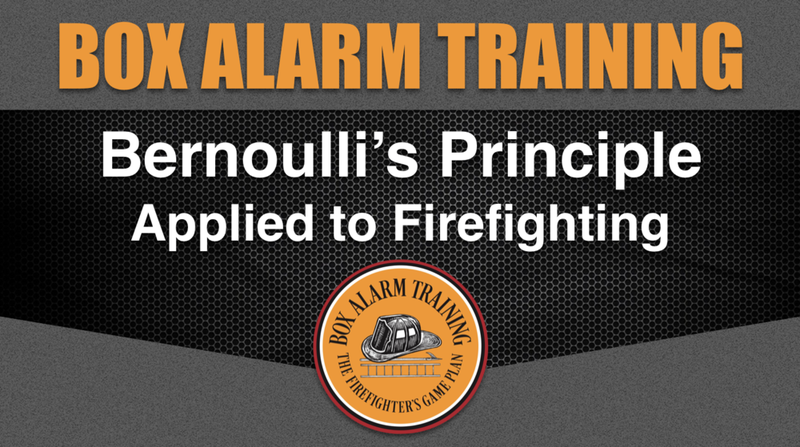 This provides firefighters with a reason for understanding the upcoming concepts or skills. Once we have given our firefighters a reason for training it will be much easier to provide the solutions or skills that address the "why's". In the video below I will cover these basic instructional processes. For many of us we find ourselves slipping into conversations that have to do with firemanship, passion, commitment, tactics and change. If any of those describe you, it is time to make a push. Dennis LeGear from LeGear Engineering F.D. Consulting has been making waves with many ideas such as the 1 3/16" nozzle and the potential for making a true hose spec built for purpose. The True Hose Spec Project is an effort to manufacture hose with true internal diameter which will greatly benefit all of us by reducing hose whip, kinking, elongation and many other problems associated with "swelled" diameter hose. So, how can you help? Dennis needs support for this project and wants to show the manufacturers that all of us desperately need a better hose spec. All you have to do is go to the link below and fill out the form. He will take this information straight to the manufacturers to continue the push for True Hose Spec. As part of the 2013 DHS Grant to study the “Impact of Fire Attack utilizing Interior and Exterior Streams on Firefighter Safety and Occupant Survival” testing was conducted at the Delaware County Emergency Services Training Center in Sharon Hill, PA to measure the amount of air being entrained into the structure by Fire Attack operations. Each test was designed to evaluate differences in entrainment, if any, by looking at different nozzle types, stream types, application patterns, as well as different compartment and ventilation configurations. These tests were conducted over a four day period where more than 150 tests were performed resulting in tens of thousands of data points as well as hours of video and hundreds of still images. These experiments were conducted in a two-story residential structure with concrete walls and drywall constructing the first floor, and normal wood framing with drywall constructing the second floor. The building size was 20ft. wide, 36ft. long with 8ft. high ceilings. The building had multiple ventilation openings varying in size which allowed tests to be done utilizing different variables to replicate the most realistic conditions firefighters would face in the field. Additionally, the interior geometry of the structure was varied dependent on the type of test being conducted. Instrumentation was used to measure air flow into the structure caused by the type of hose stream and how it was applied. These devices included bi-directional probes and associated pressure transducers to measure air flow in addition to in-line pressure and flow gauges to ensure the hose streams were applied at the desired pressure and flow per the manufacturer. The tests covered a range of hose line sizes including 1-3/4” and 2-1/2” as well as different nozzle types: combination/fog and smoothbore. Portable monitor and master stream devices were examined as well. The hose streams varied between smoothbore, straight stream, and narrow fog in addition to the nozzle patterns including fixed, “Z,” “O,” and the Inverted “U.” The first round of experiments was aimed at determining the amount of air entrained by the different nozzles at different hose line sizes and application patterns irrespective of building configuration. The next series of tests examined the impact of varying the ventilation openings both behind and ahead of the nozzle. The final series of experiments focused on a more realistic interior geometry layout involving flowing water while moving down a hallway towards a room. Once again, ventilation openings were varied ahead of the nozzle. During each of these series of experiments, hose streams were applied from both the interior and exterior of the structure to determine the differences in overall entrainment into the structure.